How to train Indoor with Arcade Fitness? Is it possible to follow power or speed recomandation while training? 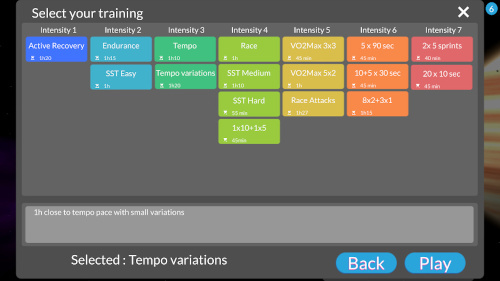 Yes, Arcade Fitness allows you to train at specific intensity levels with build in workouts. 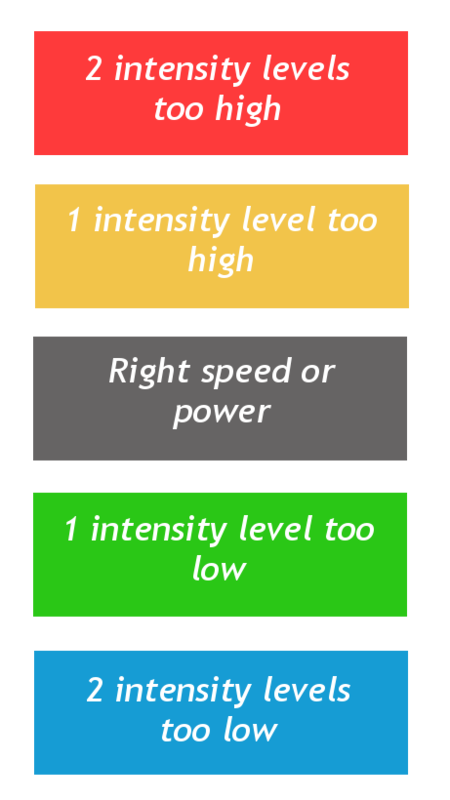 What are different intensity zone? VO2Max : limit between aerobic and anaerobic effort. Max effort you can hold for 5 minutes. Arcade Fitness offers you training workouts in all levels. Depending on your goal, you may want to improve specifically one or two levels. How to make the training indicator correspond to my level? In order to adapt the recommendation to your level, you need to enter your threshold power or best speed running speed you can hold for one hour. In Arcade Fitness app from main menu, Go to Settings and enter this value on the second line (in Sensor tab). 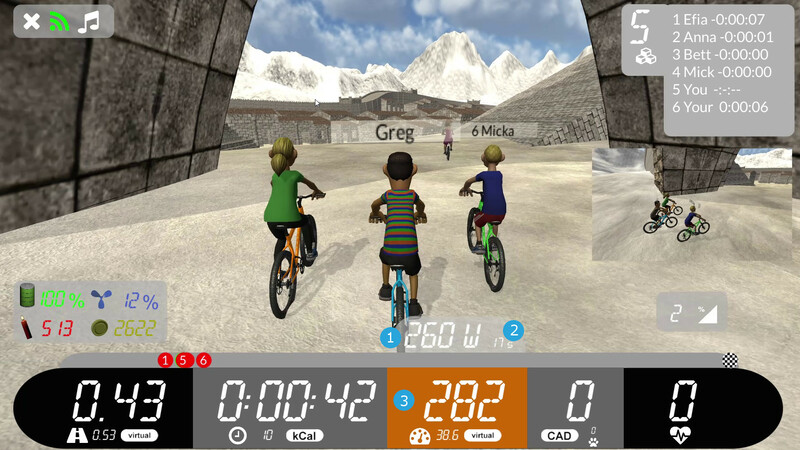 You can switch between cycling and running mode by clicking on the shoe/bike icon next to 'Playing Mode'. How to know your threshold power? If you don't know what your threshold power is, we advise to try to do your best on Track 15k and then take 95% of the average power you had. How to use the training indicator? The training indicator helps you keep the right speed or power while training. What is the 'Fitness Level'? How to choose the right workout? If you do differents levels on the same day, it is recommended to stay with the same kind of workouts (nearly same intensity) and it is better not to mix Endurance workouts, with anaerobic exercise or sprints. If you don't exactly know which one to choose, just click on the Play button and you will get the auto selected workout which changes every time you start a new workout. Is it possible to import a custom workout? This is not possible to import custom workouts as a file today, but if you would like to have your favorites workouts build in Arcade Fitness, please contact us per mail and we will be pleased to add them in the app.